Vibrant Activates a Giant Laudromat to Warm Igloofest Festivalgoers! 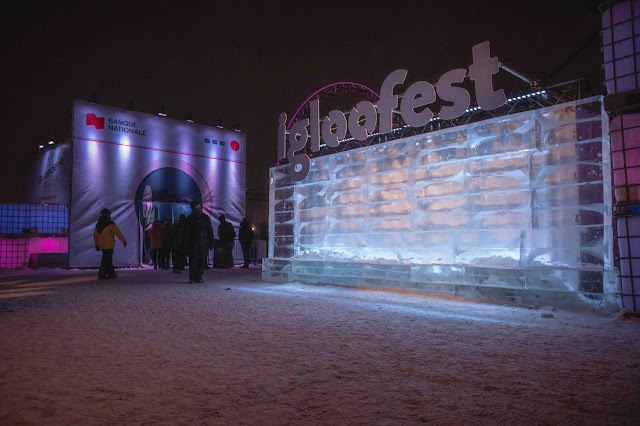 Igloofest, the world's coldest music festival, has kicked off last weekend in Montreal! To celebrate its first presence as presenting sponsor of the first weekend, the National Bank signs a warm and fun activation signed by Vibrant: the National Bank Laundromat This huge structure resembling a giant dryer is filled with real functional dryers to allow festivalgoers to keep warm with friends. This activation will be on site during the three weekends of the festival which runs until February 2. 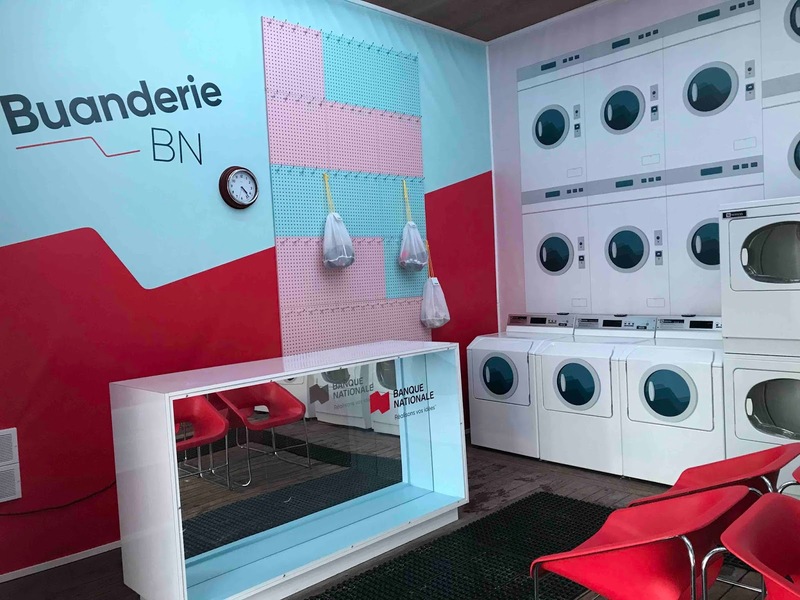 Inspired by the style of the 80s, the laundromat will warm festivalgoers on site while allowing their clothes and accessories to dry (including mittens, tuques, coats, etc.). 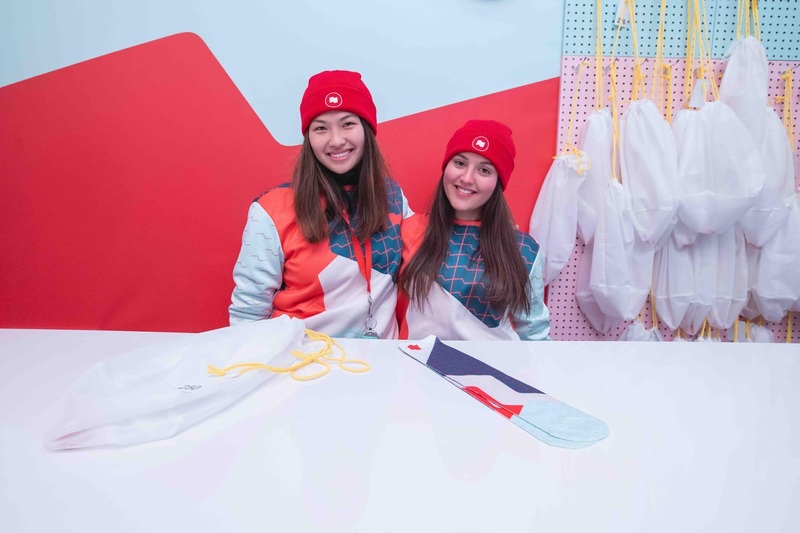 A pair of warm stockings were also handed out to the first 1,000 participants during the first three nights of Igloofest that was launched on January 17. This unique activation developed by Vibrant is intended to demonstrate the National Bank’s ability to offer simple, fast and effective solutions to its customers, even at festivals as unique as Igloofest. AdStasher: Vibrant Activates a Giant Laudromat to Warm Igloofest Festivalgoers!